Camilo Godoy, Noticiero (installation view), 2002/2017. Video, sound, CRT television set, wall mount, chroma green screen wall, 10-minute loop. Performances: Saturday, March 9 at 7pm and Wednesday, March 27 at 7pm. 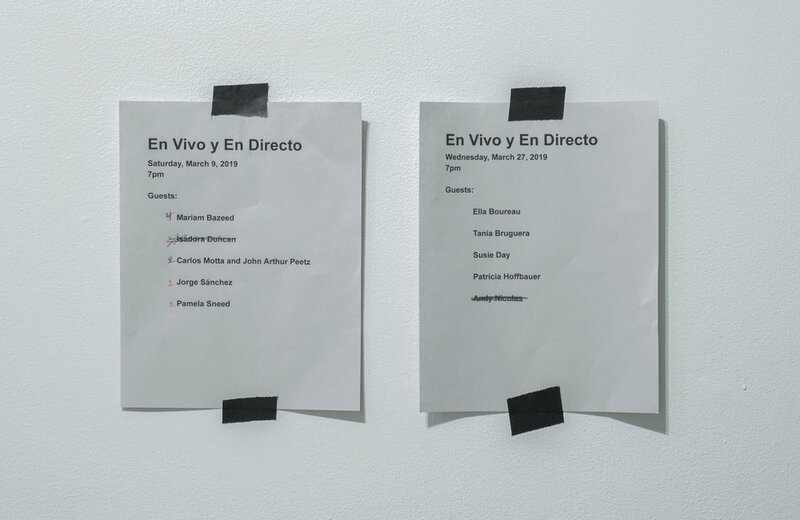 CUE Art Foundation is pleased to present En Vivo y En Directo, a solo exhibition by Camilo Godoy, curated by Tania Bruguera. 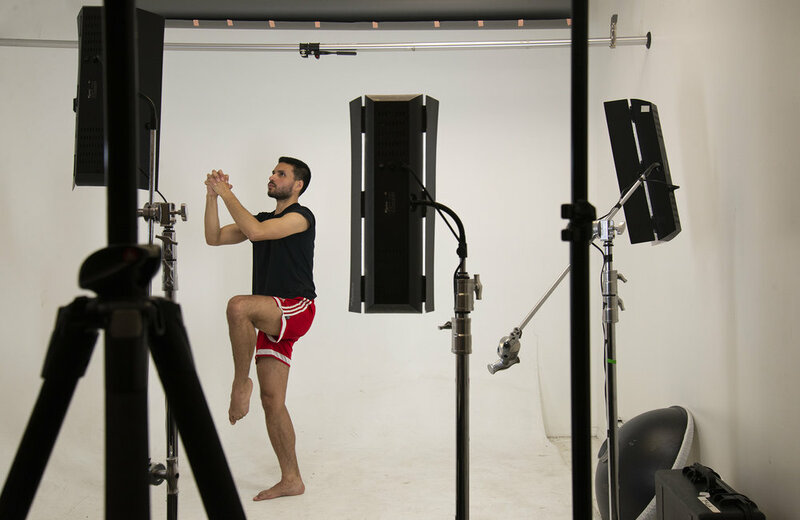 The artist employs video, photography, performance, and installation to call into question political moments, their corresponding media coverage, and the production of history. Rather than adhering to established narratives, Godoy re-presents such occurrences in a way that allows for alternative views of history, meaning, and the impact of political events on the lived experience and the human body. By subverting contemporary and historical narratives of past and present moments, Godoy’s work interrogates how history is recorded and presented, archived and interpreted, and by whom. Highlighting the destructive abstraction of violent political moments, Godoy’s work urges us to remember and rethink history. 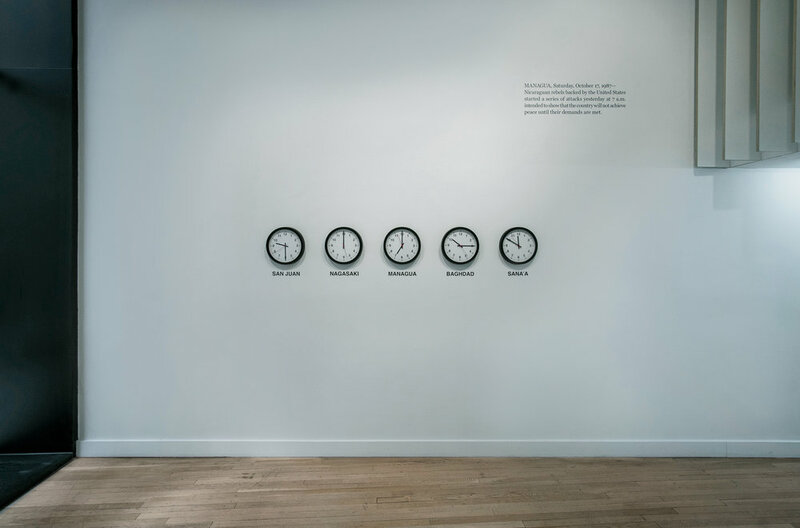 The artist has been fascinated with historical events and the media’s representation of such moments since he was a small child in Bogotá, Colombia– video works such as Noticiero (2002/2017) and Shock and Awe (2003/2018) are reinterpretations of news cycles originally aired in the early 2000s during George W. Bush’s presidency and the beginning of the War on Terror, recorded by the artist when he was a teenager and reworked in the present-day. 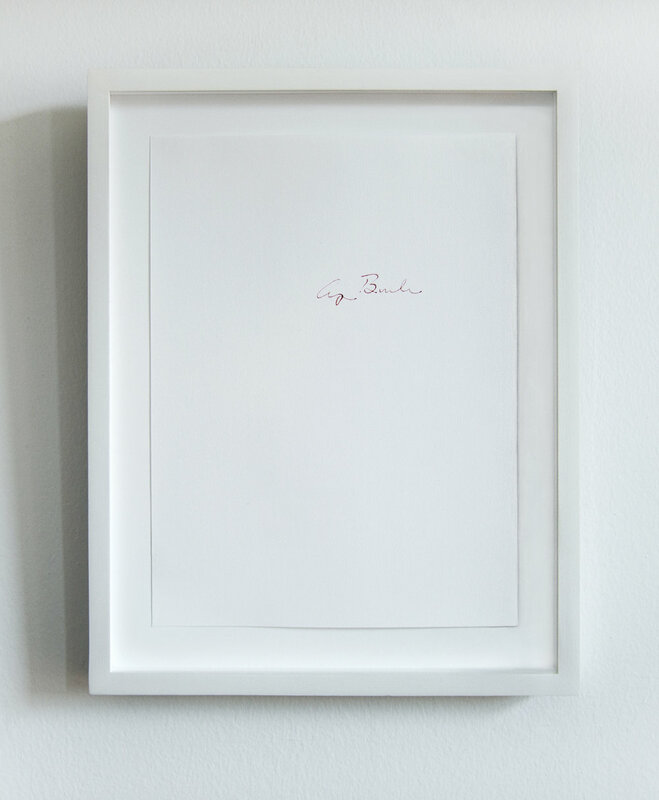 Everybody knows that they are guilty: (2013 – ongoing) is a series of drawings that use human blood to forge the signatures of every U.S. president in office during the artist’s life. Displayed on walls painted Chroma Key Green—a color used in photo and video visual effects to insert a simulated background behind a subject—the production value of these historical events, their mediation through the news cycle, and the distance of the commands from the resulting actions is accentuated. 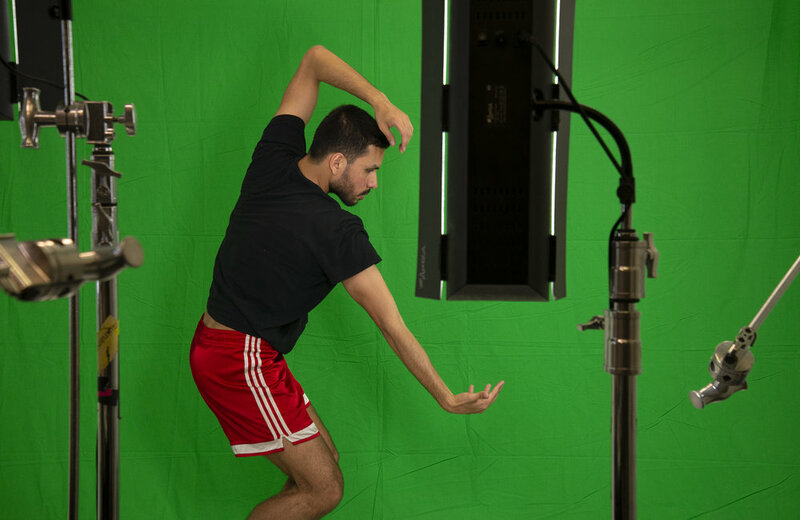 Utilizing the studio atmosphere of the green screen walls, Godoy will transform the gallery into a television studio to host and broadcast a live news variety show twice during the course of the exhibition. Also titled En Vivo y En Directo, this broadcast will bring together artists, writers, performers, and activists to perform and discuss news stories, historical events, and political issues in a multitude of languages and mediums. In her exhibition catalogue essay, Mira Dayal writes that “Godoy’s embodiment of the figure of the newscaster is not an attempt to make art as effective or responsive as the news per se. Rather, it is a method of slowing down the news, allowing it to tickle the spine, to disturb the mind, to be repeated, to be fragmented and reconstructed.” The news as he relates it is not a series of hard facts removed from daily life, but an empathetic series of human experiences; it is not sensational, but aware of the sensations that result when power forcibly comes into contact with the human body. En Vivo y En Directo will be performed on Saturday, March 9 at 7pm and Wednesday, March 27 at 7pm. The performances will be live-streamed on CUE’s homepage. More details and guests to be announced. Camilo Godoy, En Vivo y En Directo (Study # 1), 2018. Archival inkjet print, 10.5 x 13 inches. Camilo Godoy is an artist born in Bogotá, Colombia and based in New York, United States. He is a graduate of The New School with a BFA from Parsons School of Design, 2012; and a BA from Eugene Lang College of Liberal Arts, 2013. Godoy was a 2018 Session Artist, Recess, NYC; a 2018 Artist-in-Residence, Leslie-Lohman Museum, NYC; a 2018 Artist-in-Residence, Coleção Moraes-Barbosa, São Paulo; a 2017 Artist-in-Residence, International Studio & Curatorial Program (ISCP), NYC; a 2015-2017 Artist-in-Residence, Movement Research, NYC; a 2014 Keyholder Resident, Lower East Side Printshop, NYC; a 2014 EMERGENYC Fellow, The Hemispheric Institute of Performance and Politics at NYU, NYC; and a 2012 Fellow, Queer Art Mentorship, NYC. His work has been presented in New York in public space as a billboard, and at venues such as Instituto Cervantes, New York City; Danspace Project, New York City; and Mousonturm, Frankfurt; among others. For over 25 years, Tania Bruguera has created socially-engaged performances and installations that examine the nature of political power structures and their effect on the lives of its constituency. Her research focuses on ways in which art can be applied to everyday political life and on the transformation of social affect into political effectiveness. Her long-term projects are intensive interventions on the institutional structure of collective memory, education, and politics. Her works often expose the social effects of political forces and present global issues of power, migration, censorship and repression through participatory works that turn “viewers” into “citizens.” By creating proposals and aesthetic models for others to use and adapt, she defines herself as an initiator rather than an author, and often collaborates with multiple institutions as well as many individuals so that the full realization of her artwork occurs when others adopt and perpetuate it. She has been awarded an Honoris Causa by The School of the Art Institute of Chicago, selected as one of the 100 Leading Global Thinkers by Foreign Policy magazine, and shortlisted for the Index on Censorship’s Freedom of Expression Award. She is also a Herb Alpert Award winner, a Guggenheim, Radcliffe and Yale World Fellow, and the first artist-in-residence in the New York City Mayor’s Office of Immigrant Affairs. She participated in the Documenta 11 exhibition and also established the Arte de Conducta (Behavior Art) program at Instituto Superior de Arte in Havana. Her work has been shown in the 2015 Venice Biennale; at the Tate Modern, London; and the Guggenheim and MoMA, New York, amongst others. Bruguera has recently opened the Hannah Arendt International Institute for Artivism, in Havana - a school, exhibition space and think tank for activist artists and Cubans. The exhibition is accompanied by a 32-page color catalogue with texts by Camilo Godoy, Tania Bruguera, and Mira Dayal. The catalogue is available online and free of charge to gallery visitors. For more information please contact Programs Associate Lilly Hern-Fondation at lilly@cueartfoundation.org.